10.7 x 8.5 x 7.5 cm. 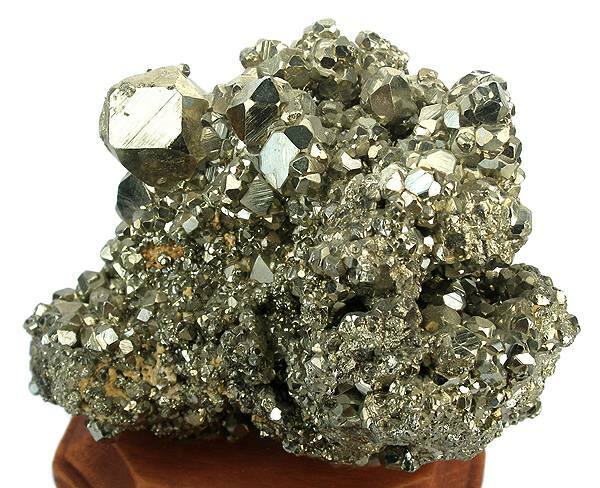 A brilliant, glistening, complete-all-around mass of golden pyrite crystals. The largest is 2 cm across. 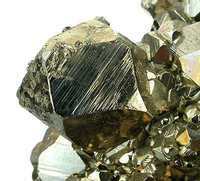 In person, this is a mesmerizing piece in part because of the complex, multifaceted pyrites, so different than most material found here today which has less complex habits. The lustre is almost blindingly bright when strongly lit. The old classic style makes it recognizable. Ex. Harold Urish Collection.